« “Midnight, the Stars and You:” Wesley Lake over 100 years ago. Going to the movies—Do you remember? The Strand Theatre. Oak Bluffs, Martha’s Vineyard. c. 1997. By Paul Goldfinger © (reposted from 2014 on Blogfinger–and updated.) Tri-X Collection. 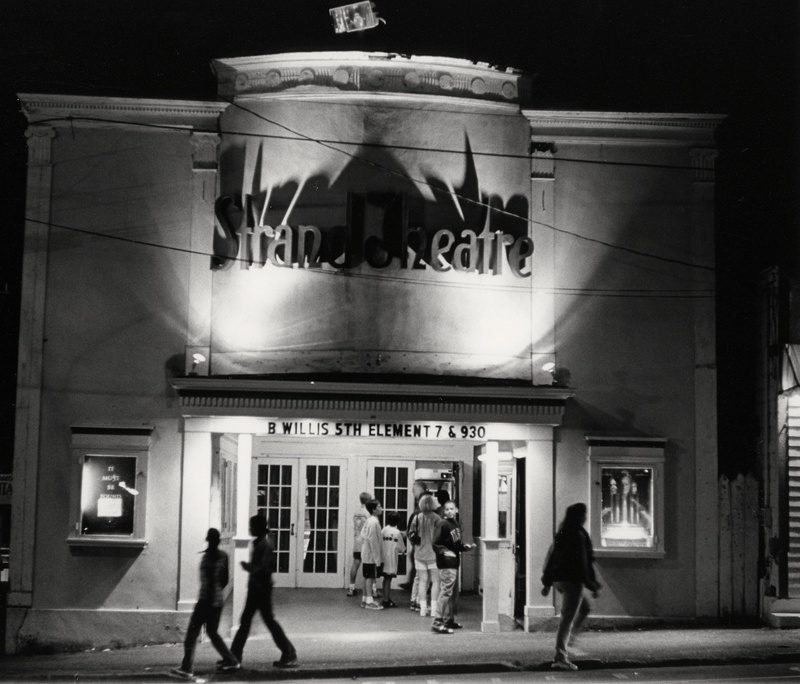 We recently ran a post regarding the Ocean Grove North End’s Strand movie house which no longer exists. Some years ago I visited Oak Bluffs in Martha’s Vineyard where the Strand theatre there, a historic site, was still functioning. Oak Bluffs is where a camp meeting ground still exists on that island. Judging from the Bruce Willis film, the photo is from 1997. The Strand Theatre in Oak Bluffs was built in the 1920’s and closed around 2010. After that it became a bicycle rental shop. But in 2015, the Martha’s Vineyard Theater Foundation raised money to reopen the Strand for movies. Movies can seem so real and important, so the MV community made sure that their cinema was brought back to life. Back when, we told our kids, “It’s only a movie.” But the magic of movies draws you in. Try to stay disengaged if you see “Captain Phillips” with Tom Hanks. Seen any good movies lately ? Tell us if you have. Comment below. Oh, do sad movies make you cry? Sue Thompson says, “Yes.” See below.